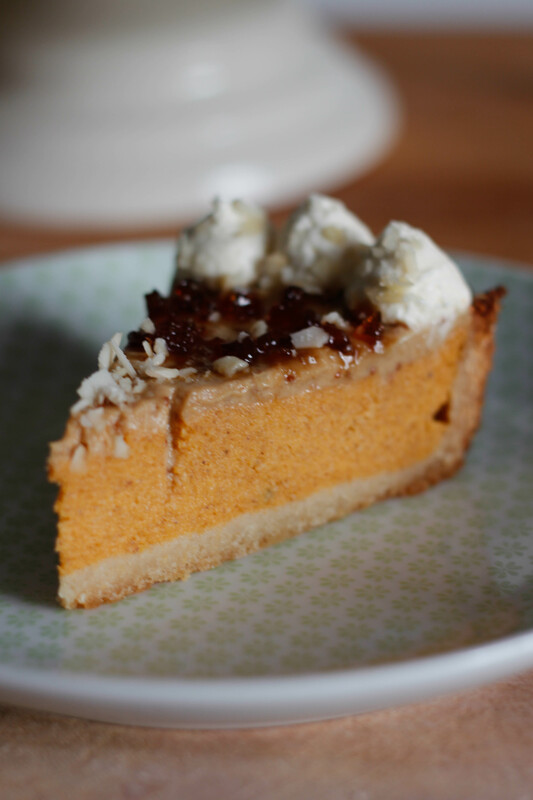 Where I come from and where I live now we don’t celebrate Thanksgiving, but after trying my first slice of pumpkin pie I really wish we did. 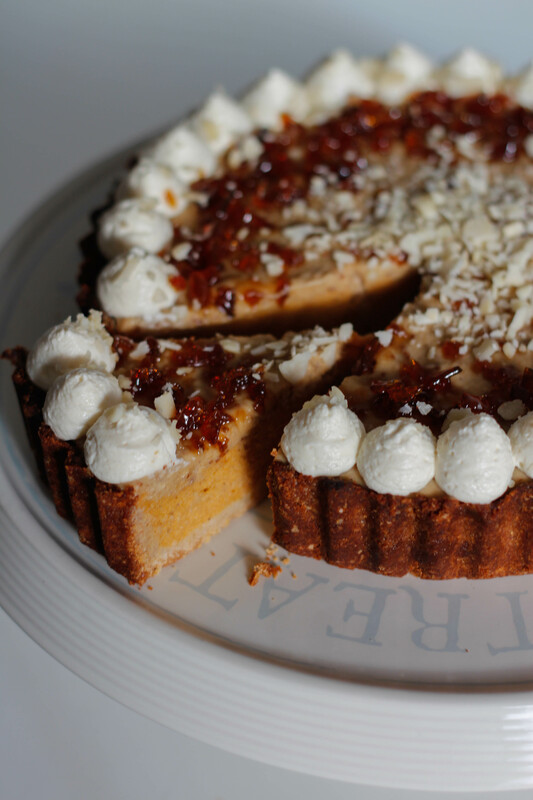 I have a brother living in the US, whom my mother and younger brother are currently visiting, so this recipe was for them. Well… it was initially, but it’s going into my ‘regulars’ file now! 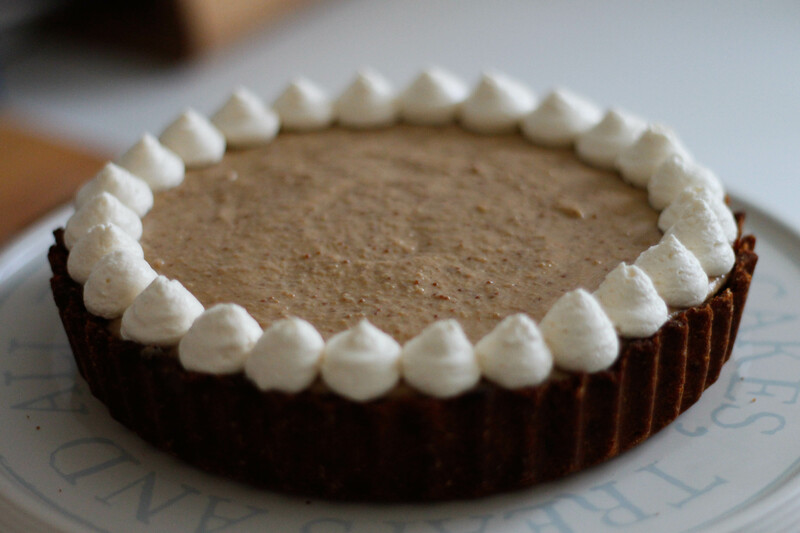 Not quite your traditional Pumpkin Pie, I’ve switched out some of the unhealthy ingredients for some healthier alternatives. 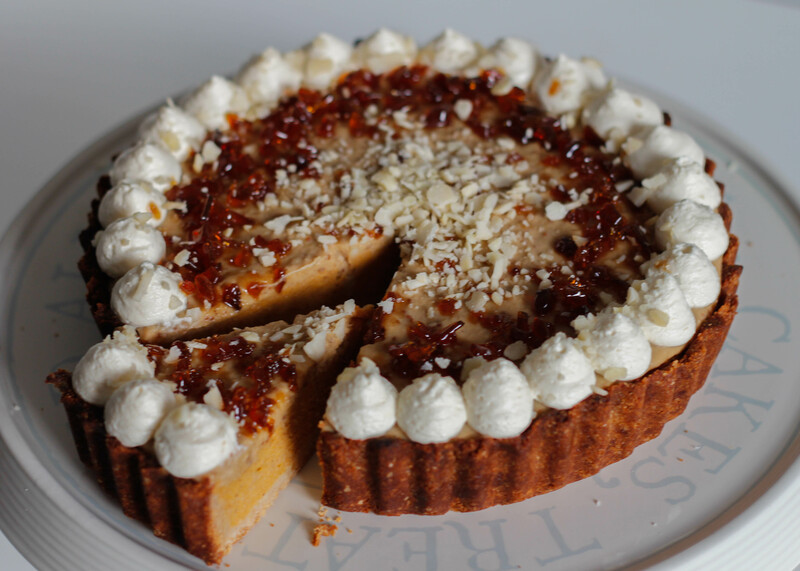 Sweetened with pure maple syrup and raw honey, the recipe doesn’t use any refined sugar. I don’t hold any grudge against dairy, but if you do try to avoid it you could always switch out the milk and cream for coconut milk. I love using coconut milk, however I am careful about what I buy. If you can get your hands on some creamed coconut this is your best option as it is pure and has no additives (unlike the canned stuff). 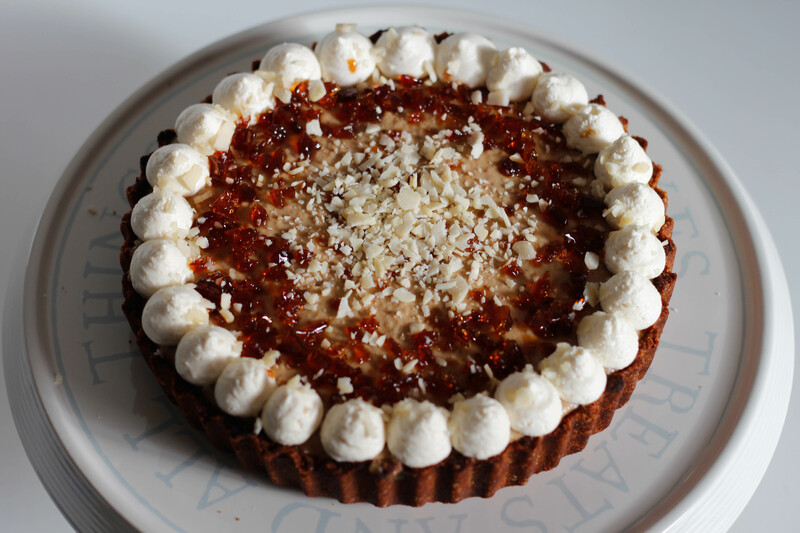 The pastry base is made with coconut flour, almond flour, gluten free oats and butter. Again, if you’re avoiding dairy then switch out the butter for coconut oil. Click the image to shop the product. 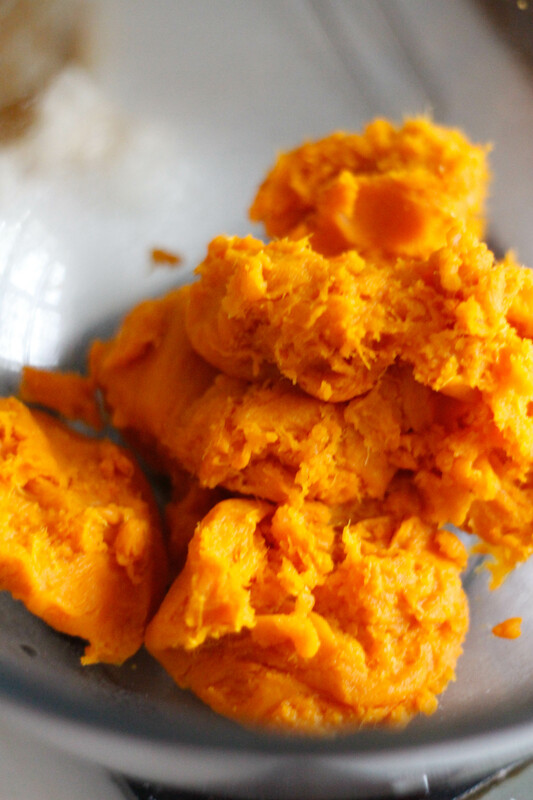 Cut the pumpkins/butternut squash in half to expose the pulp, then scoop it out and discard. 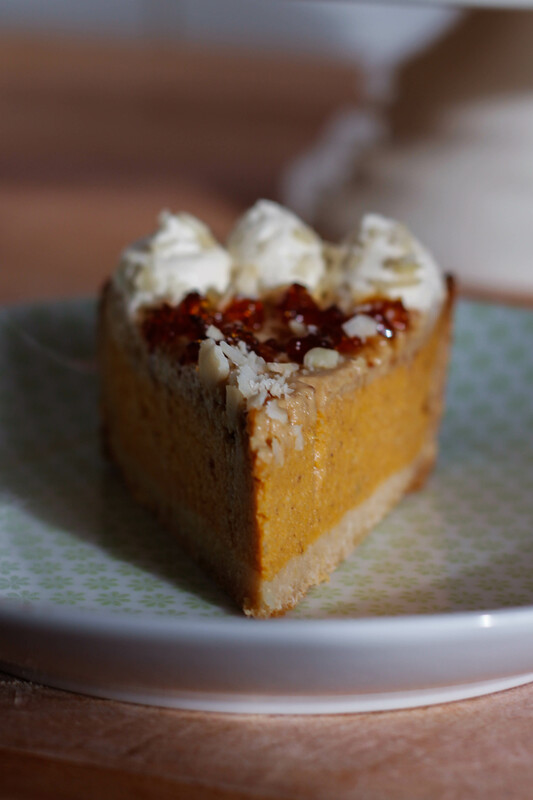 Place the pumpkin halves face down on a baking tray and bake in a moderate oven for 1 – 1.5 hours, or until they are soft all the way through. 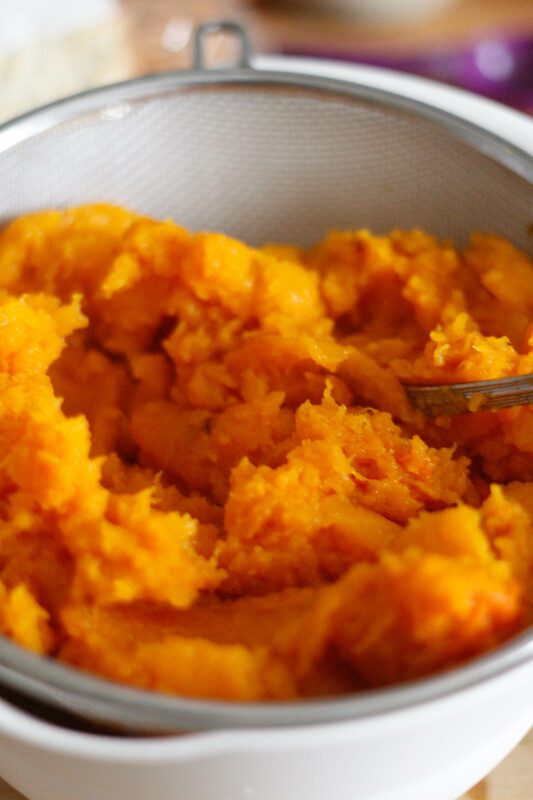 Scoop out the flesh of the pumpkins, discarding the skins, and place the pulp in a sieve to strain the liquid. Set the strained flesh aside to cool completely. You can use the liquid in cooking if you like, I usually use mine in place of some of the water when making bread. 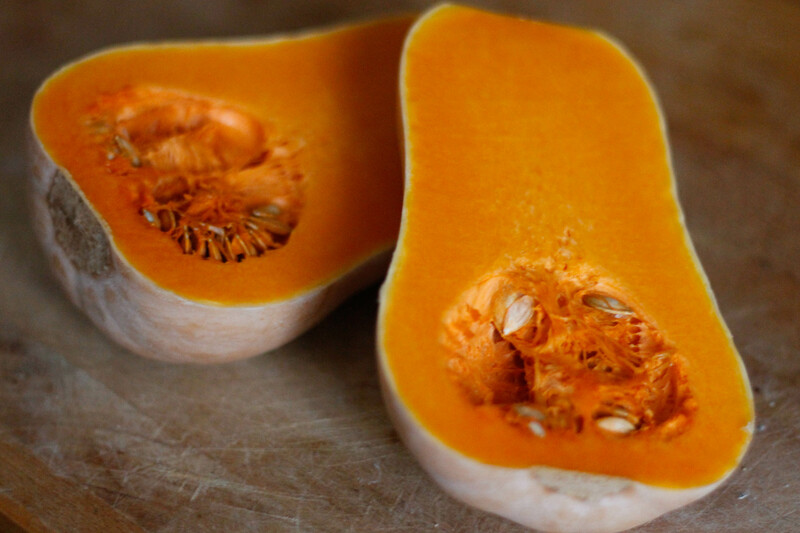 You could also add it to stews or soups. Preheat oven to 180°C/350° F/Gas Mark 4. 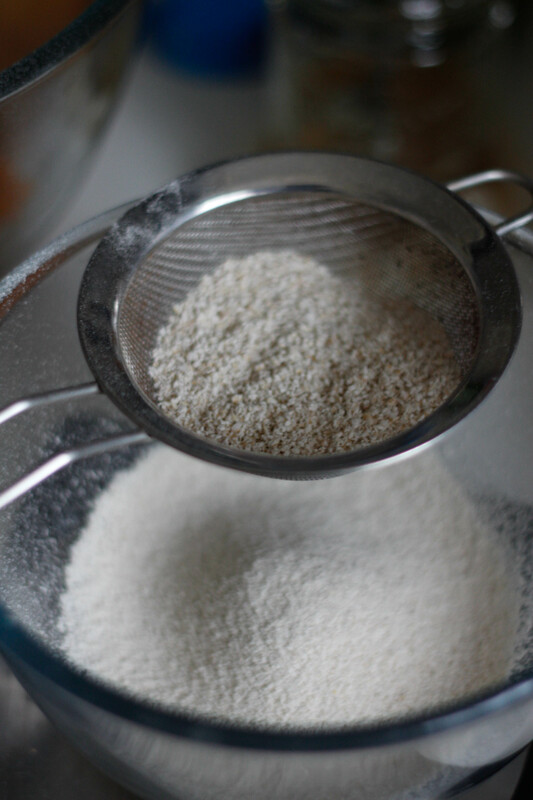 Pulse the oats in a food processor until you are left with as fine a flour as you can get. 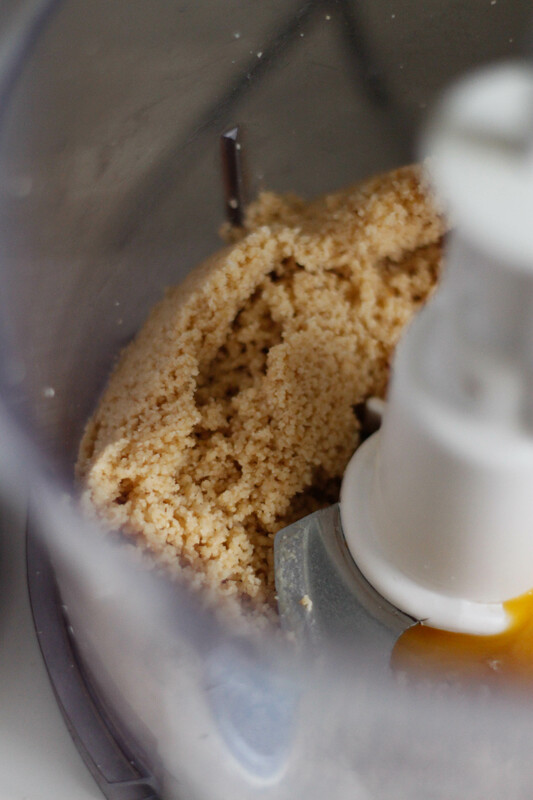 Combine the Almond, coconut and oat flour in the food processor and pulse to combine. 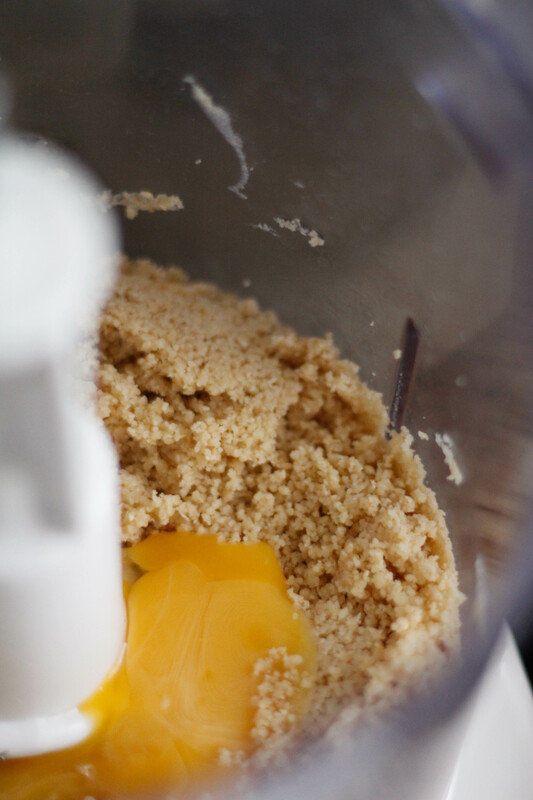 Add the butter and honey and pulse again until you have a fine crumb, then add the egg yolk. 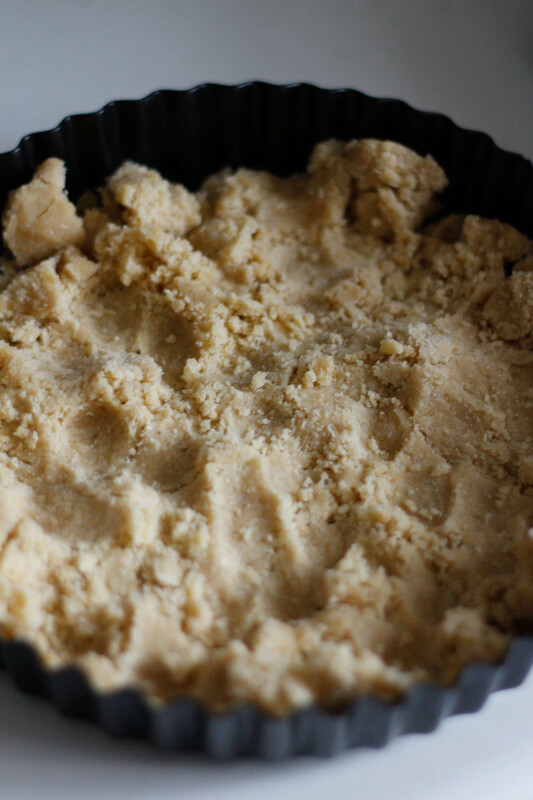 Tip the crumbs into a bowl and bring together with your hands until you have a ball of dough. 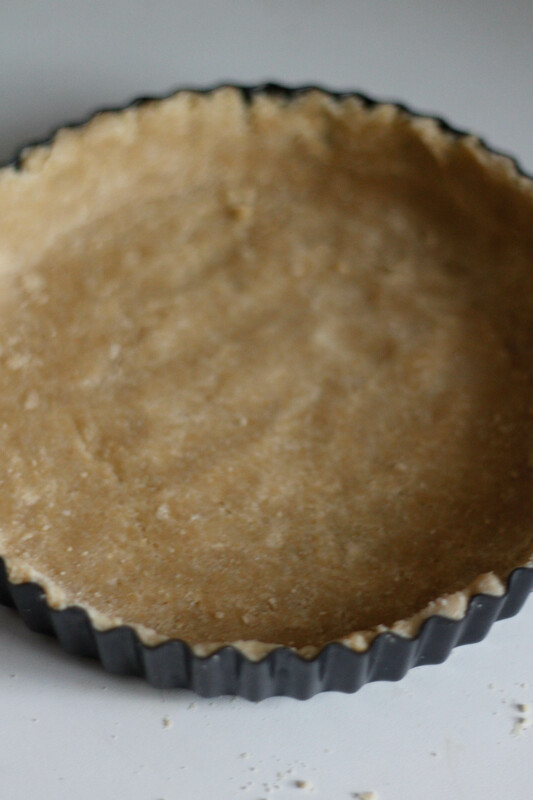 Grease a loose bottom tart tin or a pie dish with butter, then press the dough into the base of the tin. 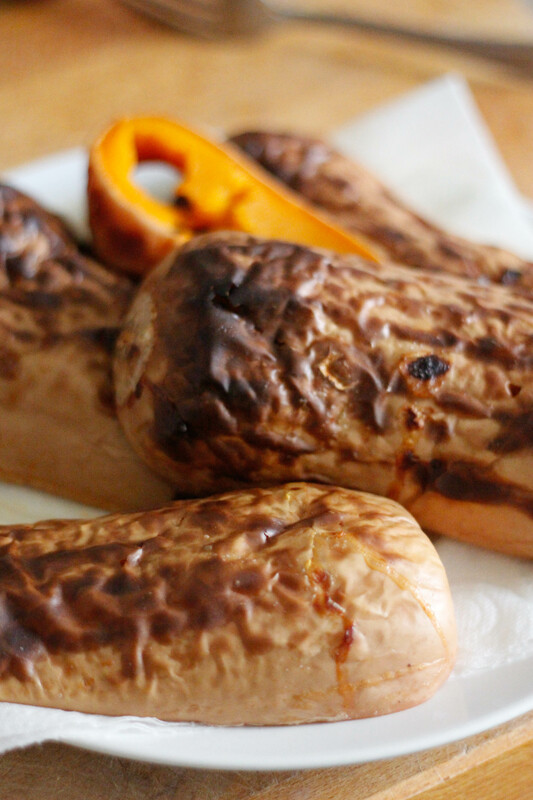 Bake in preheated oven for 10 minutes, then set aside to cool. Preheat oven to 200°C/400° F/Gas Mark 6. 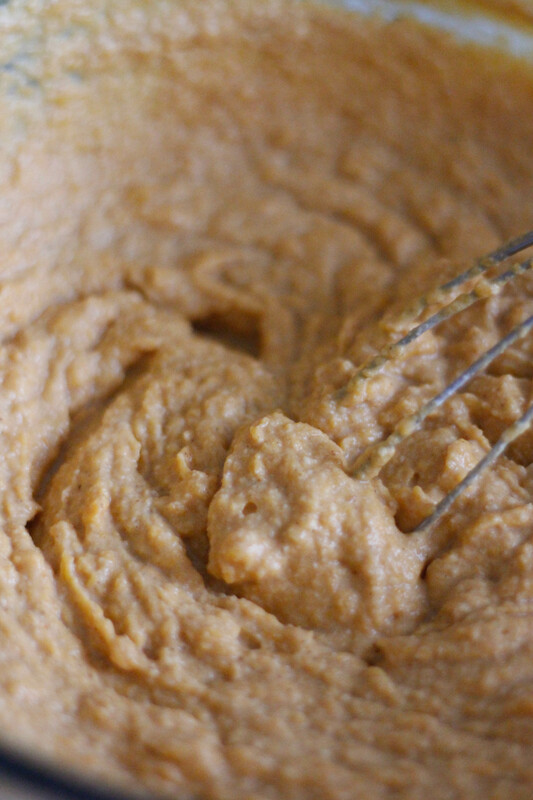 Take the cooled pumpkin purée and add the maple syrup, cream and milk and whisk to combine. 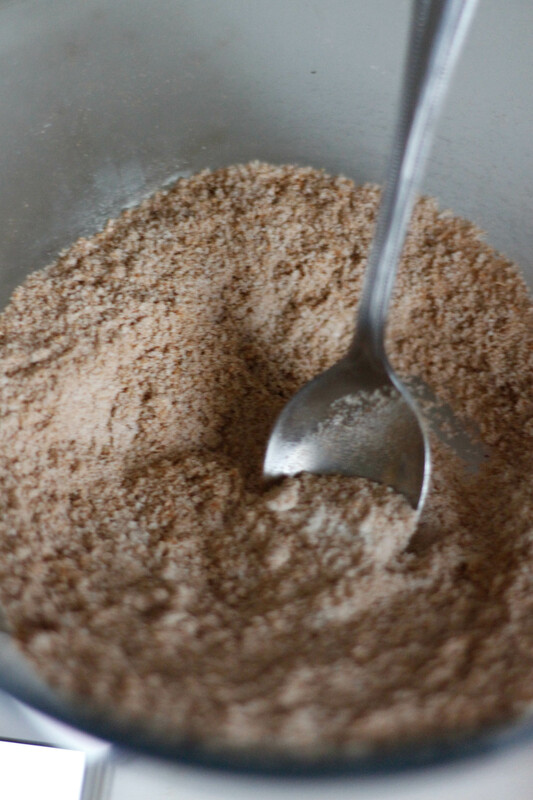 Sift the coconut flour into a separate bowl, then stir in the spices. 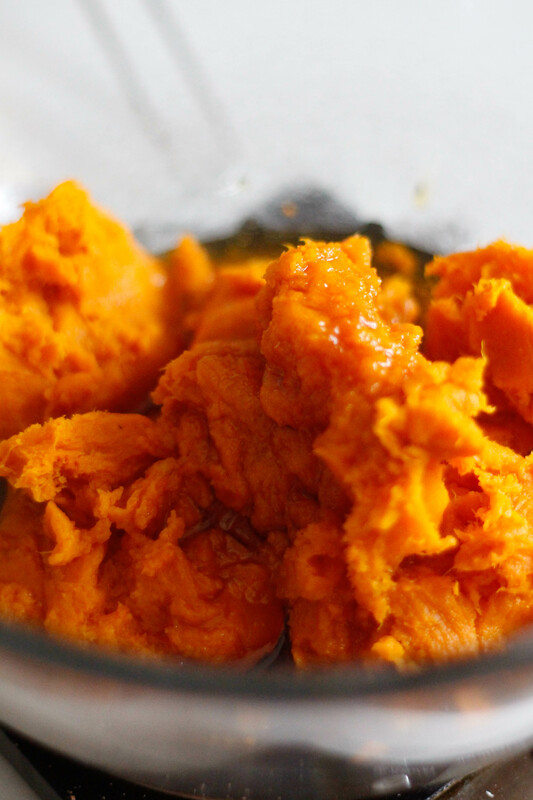 Add the coconut flour and spices to the pumpkin mixture, then whisk in the eggs. 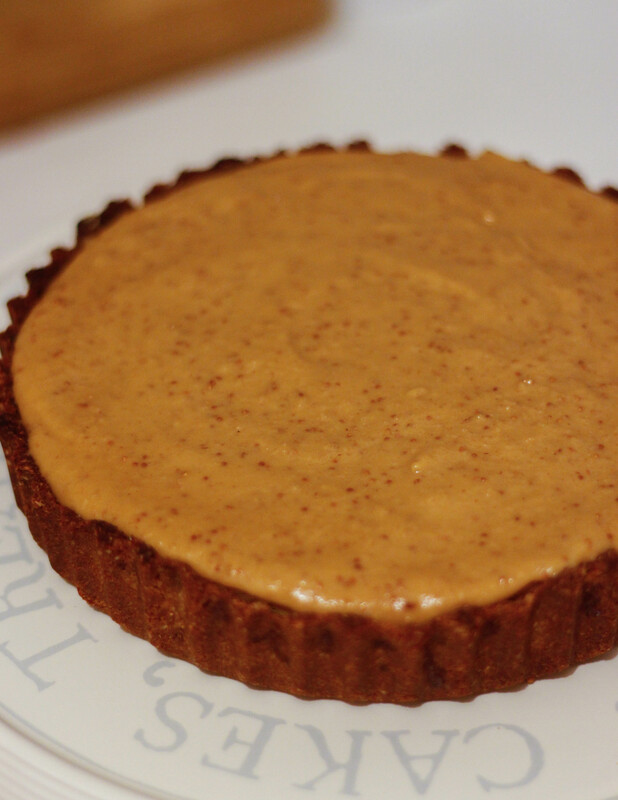 Pour the mixture onto the cooked pastry base and bake in the preheated oven for 10 minutes. 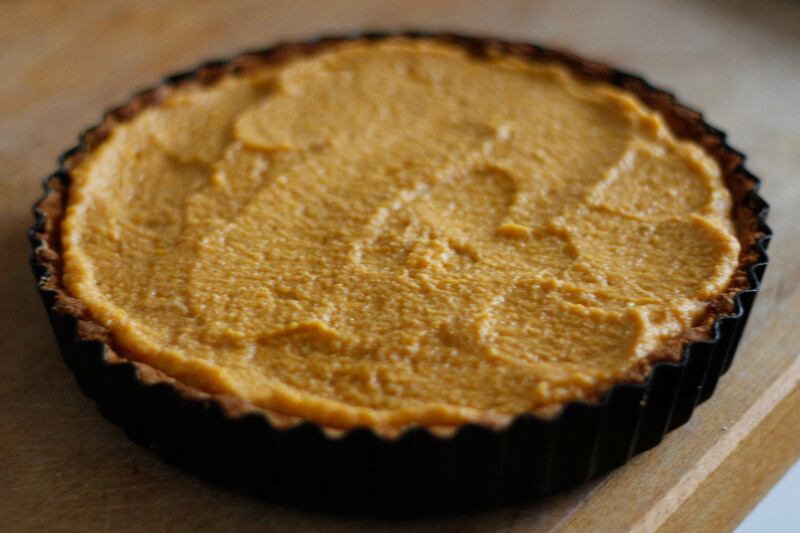 Reduce the heat to 180°C/350° F/Gas Mark 4 and bake for a further 30 – 45 minutes, or until set. 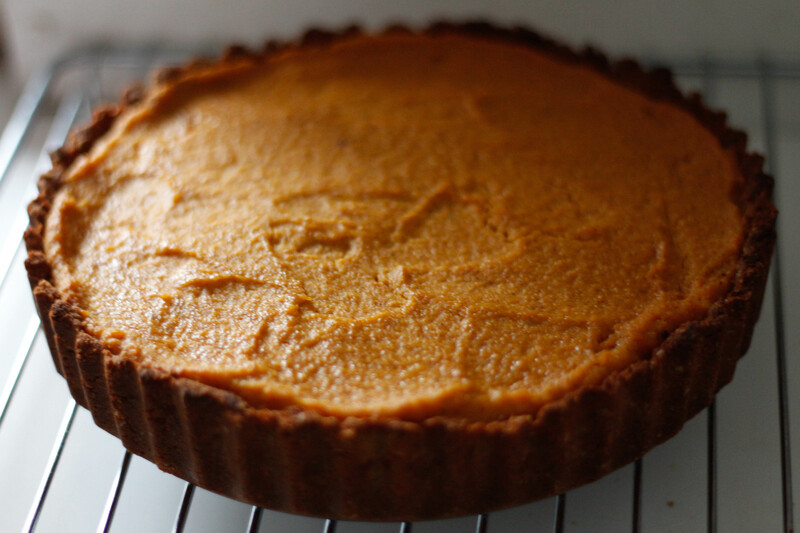 Tip: If the pie is starting to brown too much during the cooking process just cover it loosely with some foil, punching a few holes in the top to allow steam to escape. 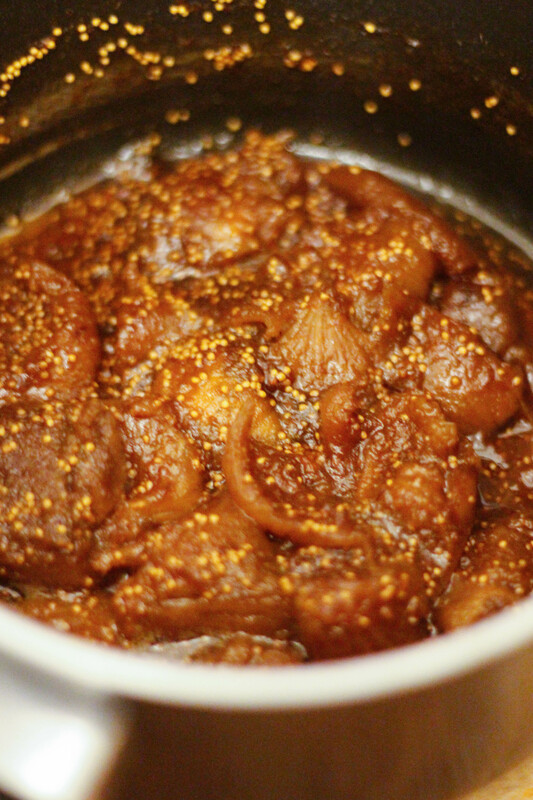 Place the figs and honey in a saucepan, cover with water and set over a medium heat. Bring the mixture to a boil, then reduce the heat and leave to simmer. Top up with water if the mixture starts to dry up and continue to heat until the figs are soft. 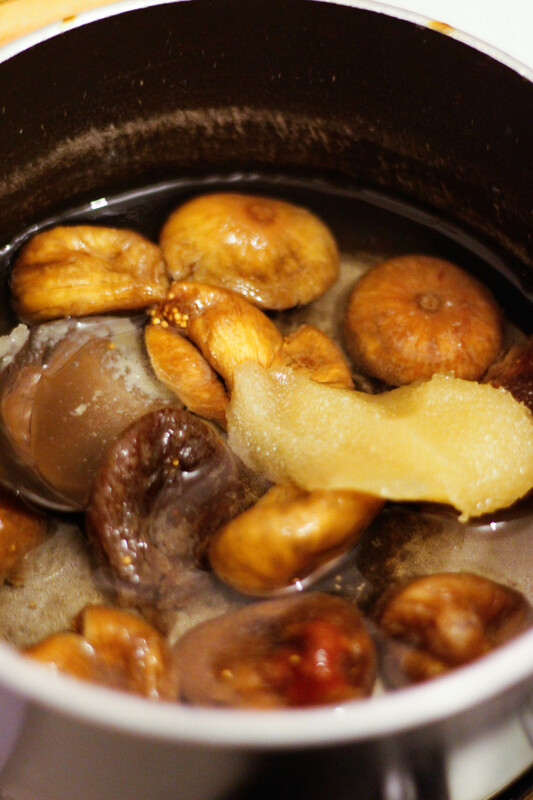 The time this takes will vary depending on how dry your figs are, I simmered mine for around 20 minutes. 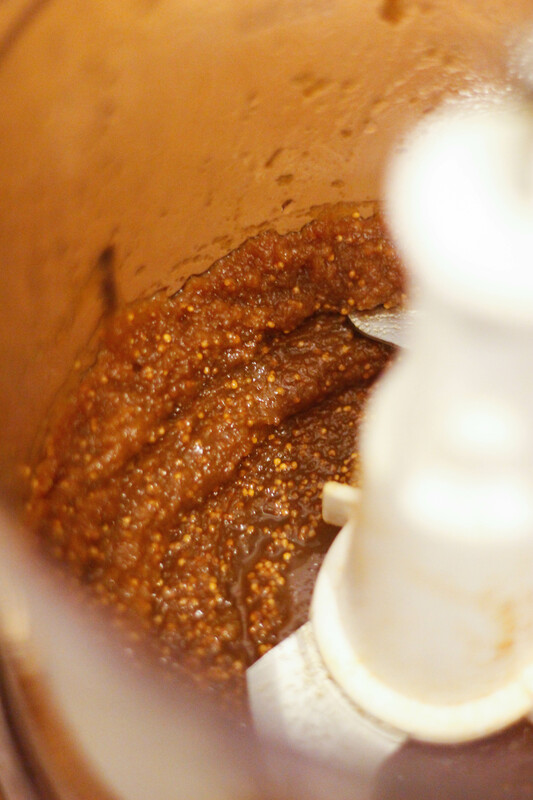 Place the figs and remaining liquid into a food processor and blend until you are left with a smooth paste. 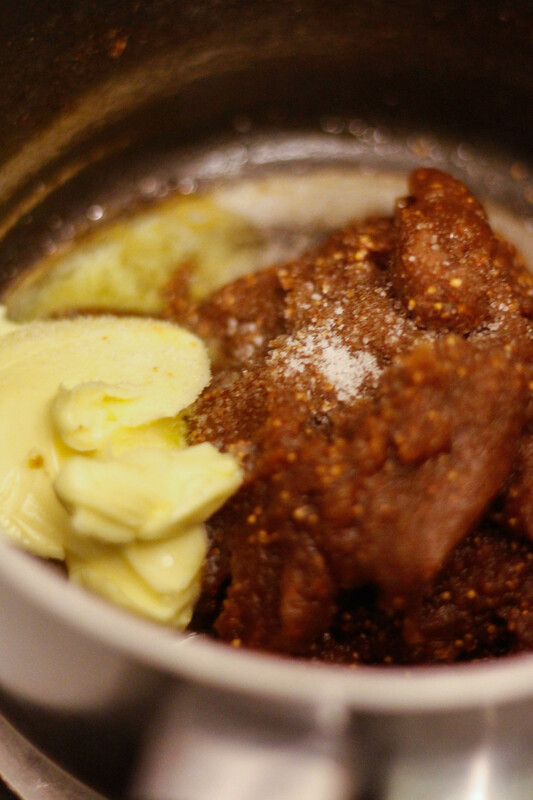 Place the fig paste back into the saucepan along with butter and salt and stir over a low heat. 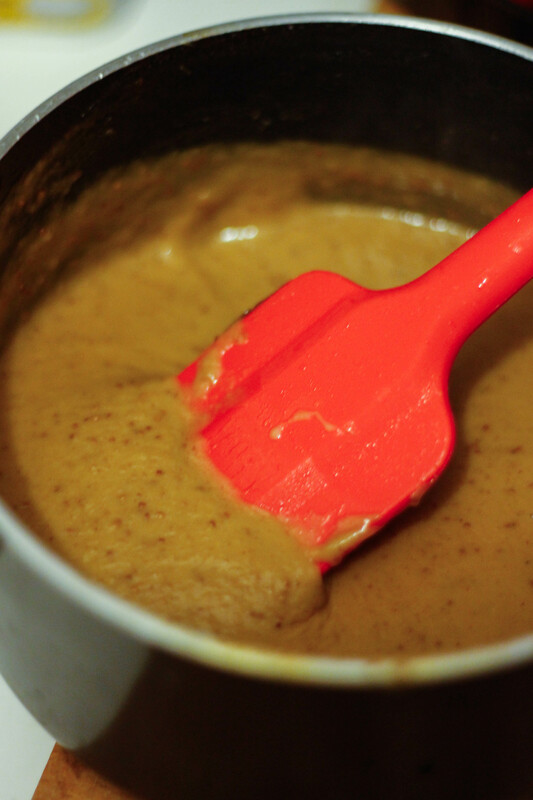 Once the butter has melted, add the cream and continue to stir over the heat until the sauce begins to bubble. Heat the sauce for a further two minutes or so, then remove from the heat and set aside to cool slightly. 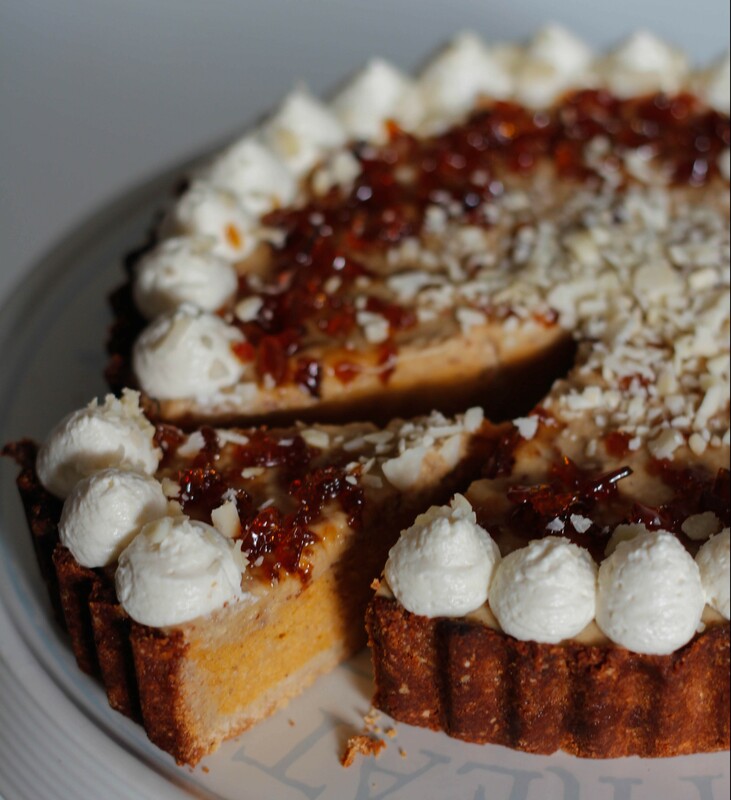 Pour the figgy caramel sauce onto the pumpkin pie while it is still warm so that it spreads easily and gives you a nice smooth finish. 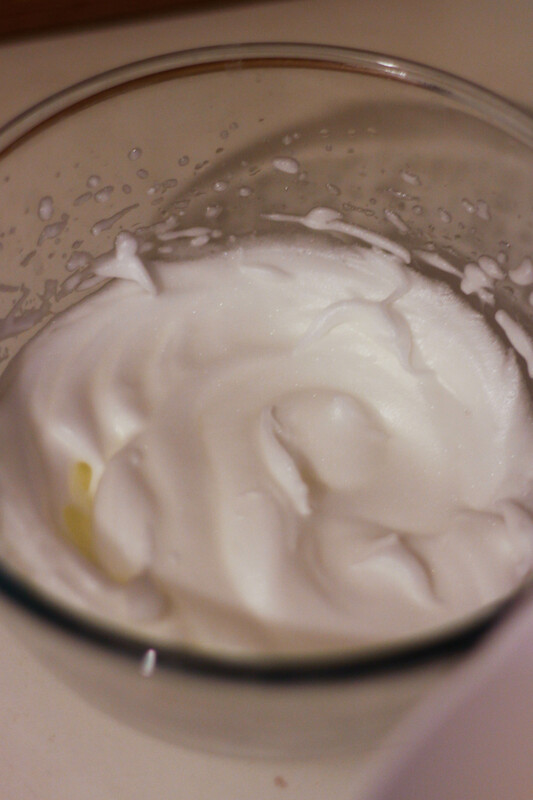 Whisk the egg whites with clean, dry beaters until they start to foam, then add the lemon juice and continue to whisk until the egg whites are stiff. 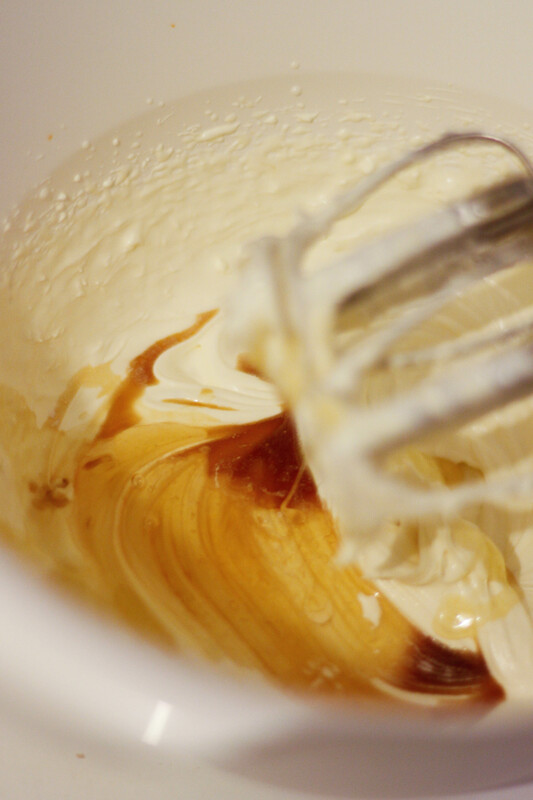 In a separate bowl start whisking the cream until it starts to thicken, then add in the vanilla extract and honey and whisk again until peaks form. 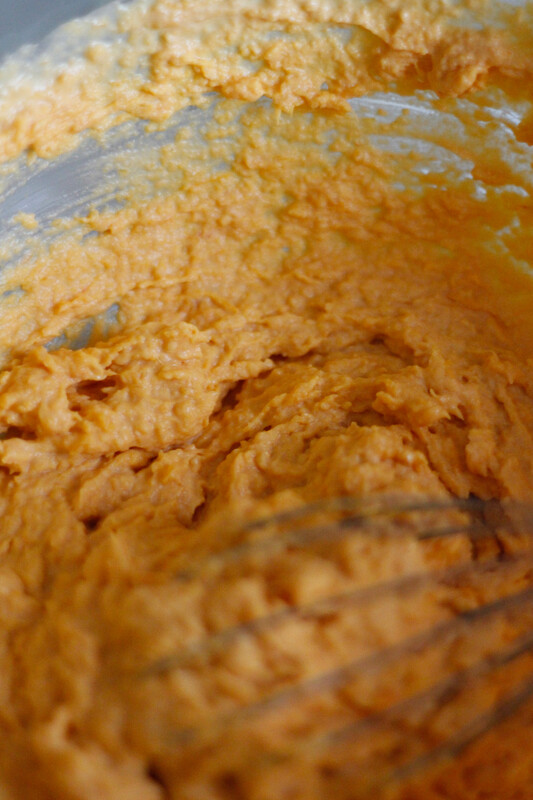 Add the cream cheese and give it a very brief whisk until just combined. 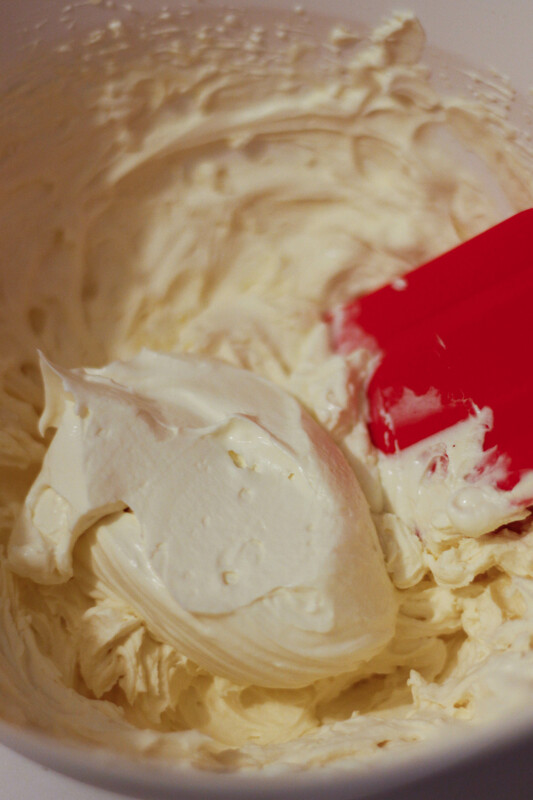 Fold in the egg whites, then spoon the mixture into a piping bag and refrigerate for at least an hour before piping. 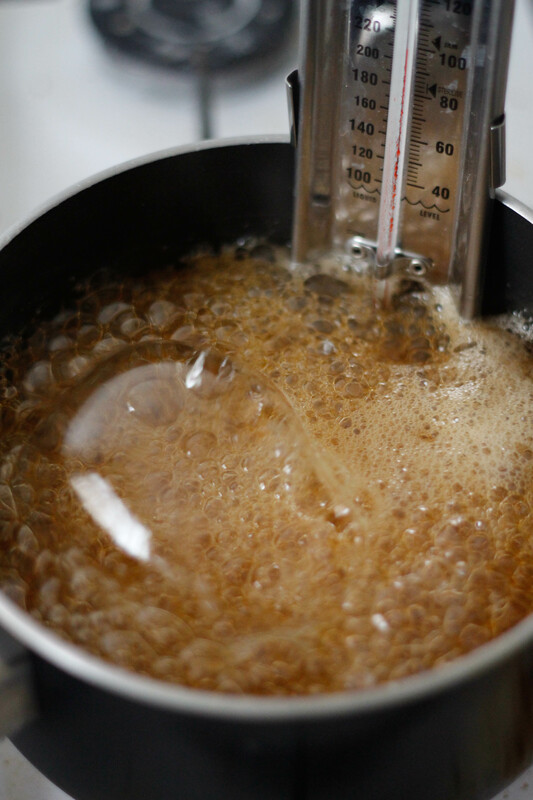 For the maple candy on top I used about 150g maple syrup, heated in a saucepan over a low heat until it reached 290 °F/143 °C on a candy thermometer . 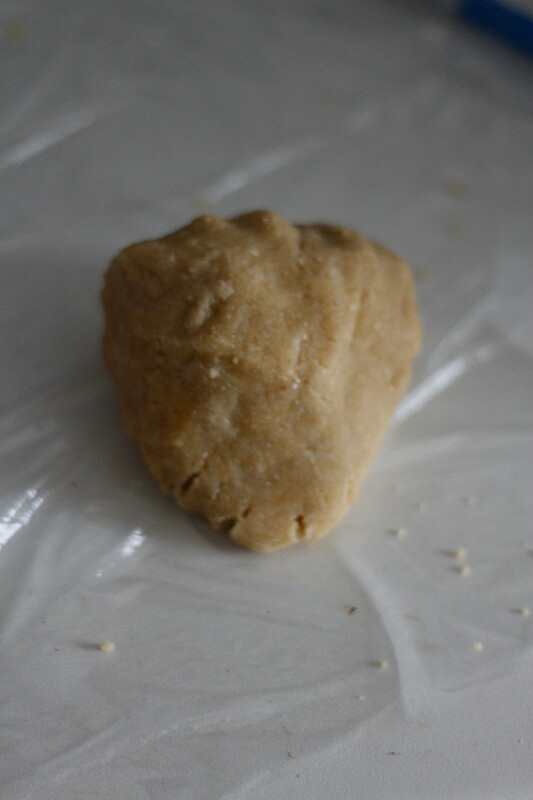 Pour it out onto a piece of baking paper, leave to cool and harden, then place in a freezer bag or something of the sort and crack into pieces with a rolling pin. 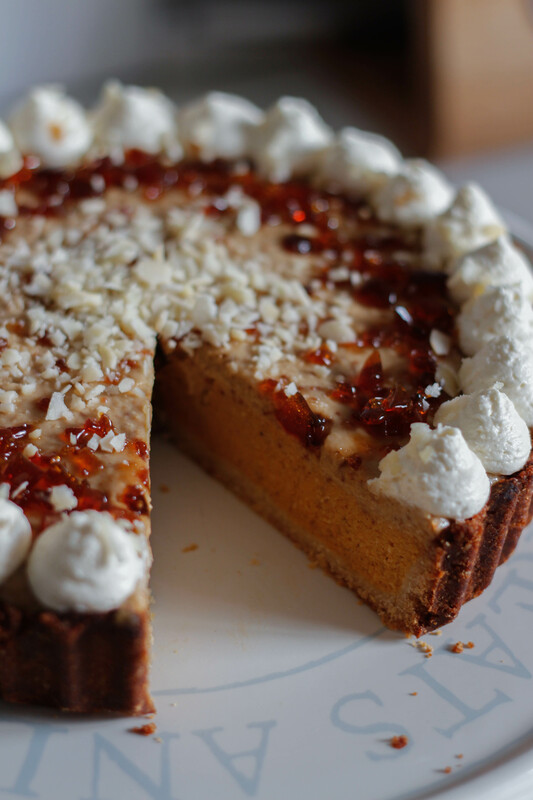 Pipe the cream onto your pumpkin pie, then scatter the crushed maple candy and almonds over the top. 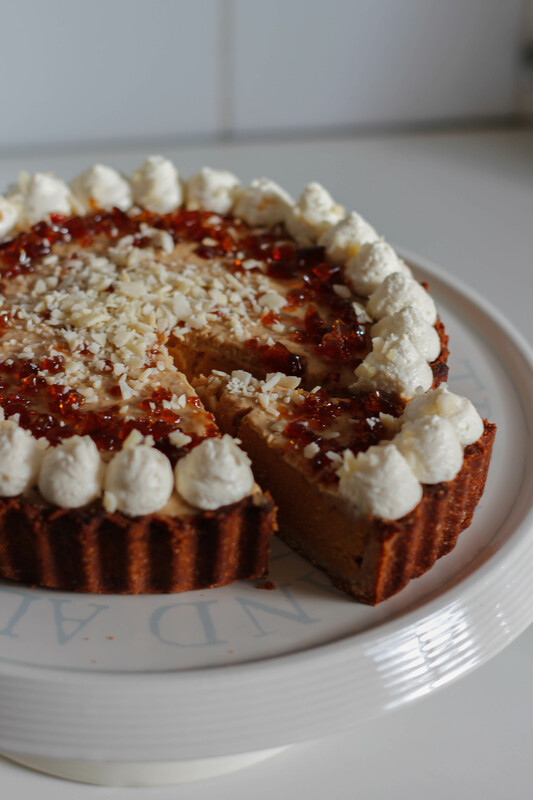 Serve chilled, and with any left over cream and fig sauce. 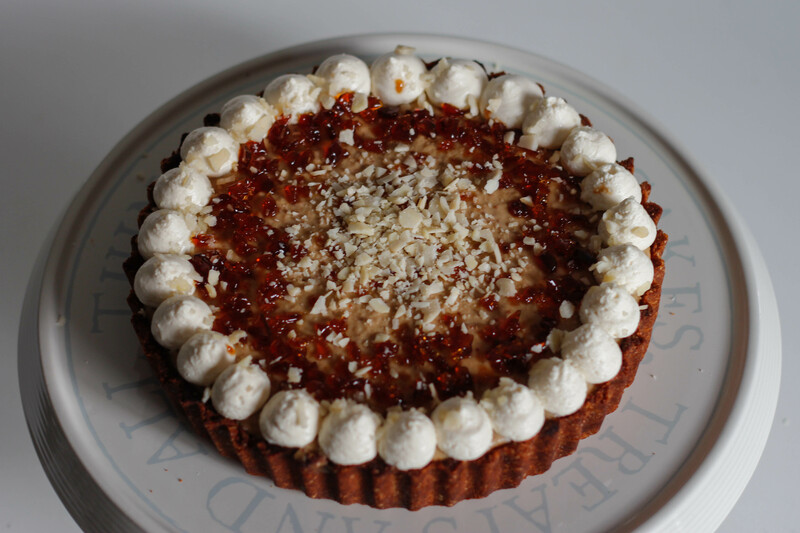 I haven’t tried the coconut version yet myself, let me know how it turns out!